To all the outstanding, caring people out there, we thank you! We very much appreciate all the comments, love, likes, sharing; all that you do! We are so honoured for all the recognition from Brave Souls, the Medical Medium, My Awesome Foods! Wow, we feel so blessed that people have shared their love with us, especially Dan. He needs it most! Not even two weeks after his official diagnosis of Primary Progressive Multiple Sclerosis, his best friend, my brother, his brother-in-law, our roommate died. So, of course, MS symptoms came hard and a knocking on Dan's door. Stress, life factors such as ours can affect anybody considerably. The purpose of Finding Us in MS is to connect with others. To learn along with people who have been in our shoes, while holding the hands of others as we go through MS together. We don't know what always to do, and sometimes there are timelines, costs, options and internet searching doesn't help the situation. Like the saying it takes a community to raise a child, it takes a tribe of warriors to share their faith that anything is possible because it has been done before! If you think of it, Lyme, Fibromyalgia, Rheumatoid Arthritis and many others all share things in common. So press that button, share and inspire hope for not only us but others who are looking for support, a tribe of friends like you and how you have been there for us! To all of the people who write us and share their stories and success, even the tribulations, thank you! Nothing like finding comfort in someone who knows what you are experiencing. Your thoughts are inspiration on tough days, and reminders to be appreciative! Waiting for doctor appointments and meeting with specialists is a long process when you are scared. Everything in your life is changing faster then it ever has. No one seems to have answers. So we search to find them with the support of family and friends in the hope that we will beat this disease together because honestly, you can't do it alone. If we can share one thing with you, it's us! Our experiences of being human during our successes and defeats living with Multiple Sclerosis. 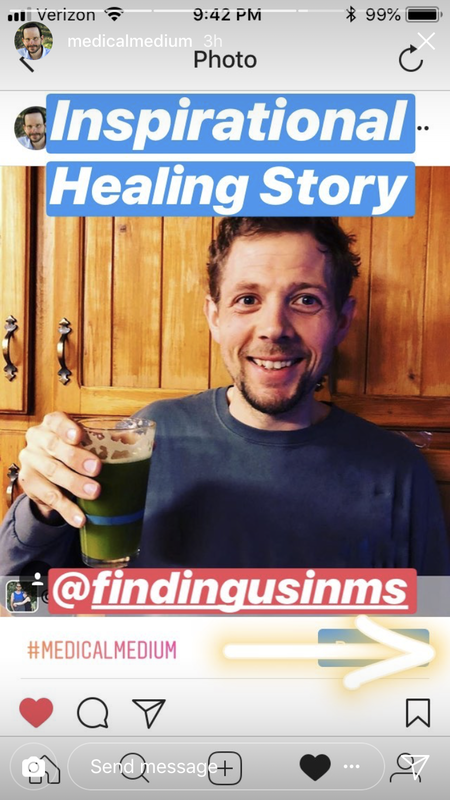 So scribe at our website www.findingusinms.com and check out our Instagram #findingusinms as we share our story of finding us in MS.